Squash House Quilts: A New Project! Recently Stephanie over at Loft Creations had a post about using up your scraps to make string quilts. She offered a no rules, informal, string "non-challenge" and I decided to play along. ...into these! They may not be your typical string block, but I do think scraps qualify, right Stephanie? I plan to make lots and lots of these! Perhaps enough for a large, queen size quilt - something that will still fit on my longarm but be big enough for the bed. Don't tell anyone, but I have another scrap bin just like this, full to the brim! Perfect and awesome. This will be a great scrap quilt. I think the goal is to dive into the scrap bin and watch it disappear!!! Looks like we have all been digging around in our scrap bins! I have been having fun in mine too and have lots more to go through. I am cutting them into 1 1/2, 2 1/2, 3 and 5" squares and strips depending on the size of the scrap. It's nice to have them ready to go. Now I need more Art Bins to keep them all sorted. What!?!? Just ONE other scrap bin?????? One is a lonely number, you know. What a great way to use your scraps ! What is the size of your blocks ? When I cleaned out my sewing room and painted, etc I took all my scarps and cut them into 2.5 inch and 3.5 inch strips so I could make a scrappy quilt. I've yet to do it and I need to get going on it...............one day, haha. Hugs. I am impressed. Only two scrap bins!! Aren't you a smart one! Perfect use of scraps and I bet you'll have quite a treasure when you are done! Hmmm, very interesting! I like that idea a lot. Strings and triangles, a great block! - I think I could store my scraps in just one bin but it would need to be a wheelie bin! Lovely little scrap blocks! 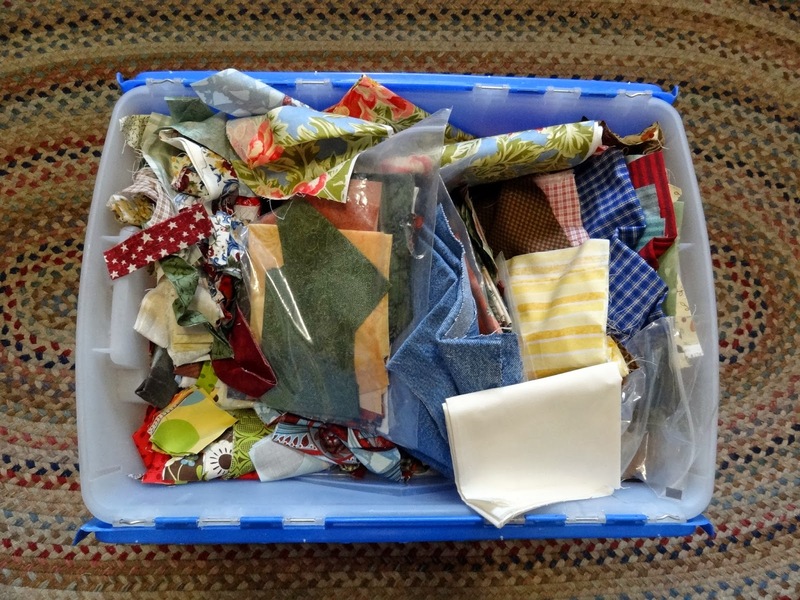 It will be fun to watch the scraps transform into a quilt in no time. Happy quilting! I really need to start using up my scraps...because lord knows I have a bunch! I've just returned from a trip Candace and getting caught up on my blog reading. 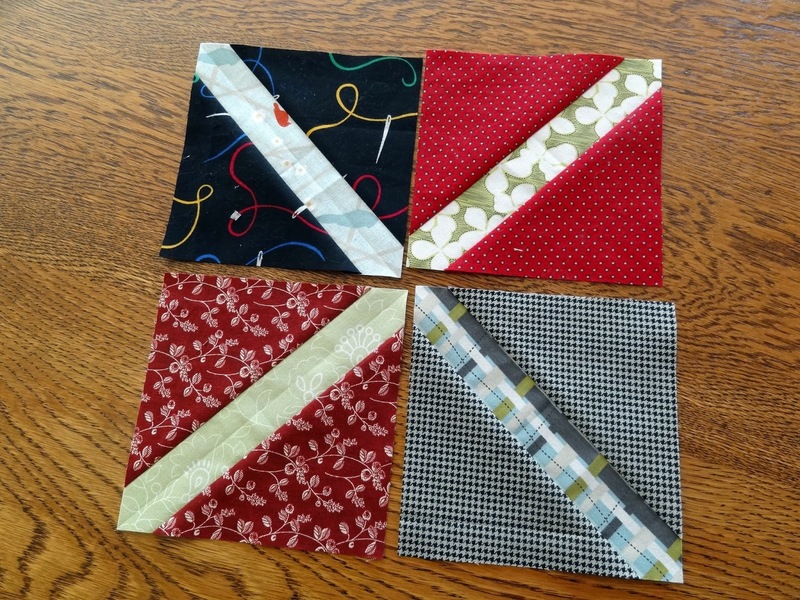 I love your scrap blocks and it absolutely qualifies for Stephanie's strip quilt along because, as she said, there are NO rules. Makes for a lot of fun, doesn't it? 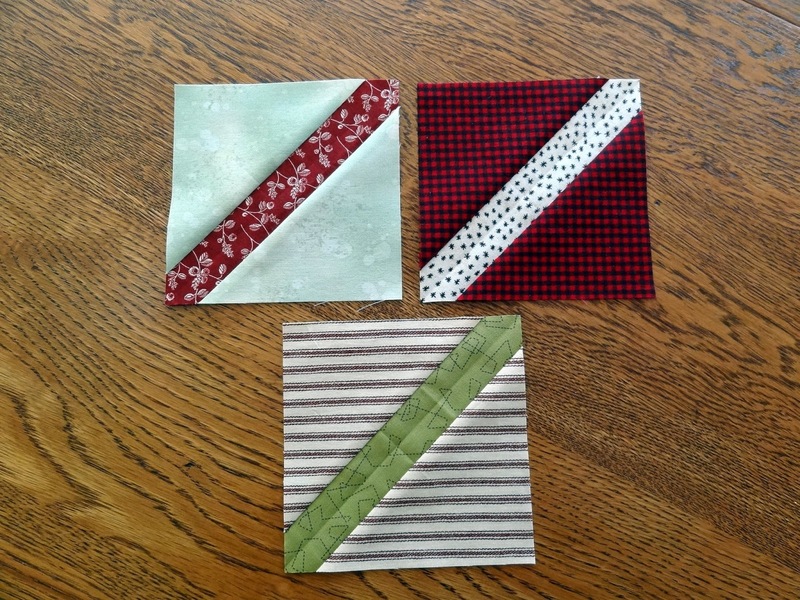 great block to use your scraps. i have been watching Stephanie's progress.